Saleh Gadi Johar, publisher of awate.com, was interviewed live in the studios of Al Hiwar TV, in London, UK, on 9/27/11. The interview, which was conducted in Arabic, is available in two short videos (part 1, and part 2) on youtube and at awate.com (in the video tab.) To ensure wider distribution to awate.com’s readership, Semere Habtemariam has translated and transcribed the interview in English. What follows is the transcribed interview: great thanks to our friend and colleague Semere Habtemariam! Interviewer: We welcome today, for the next 20 minutes Mr. Saleh Johar, an Eritrean journalist and author and publisher of Awate.com. We welcome you, Mr. Saleh Johar, to London and this is a great opportunity to inform our audience of what is happening in Eritrea. Interviewer: About 50% of the population in Eritrea is Muslim; roughly about 3 million and the land is about 50,000 square km, and the country has been ruled since it gained independence in 1991 by President Isaias Afwerki. Welcome, and let’s start with the fact that Eritrea borders the Sudan, which used to be the biggest Arab nation till Algeria took over that position. Our first point: How the Arab Spring that is happening in the Arab countries is relevant to Eritrea and how it affects it? Interviewer: Why? He did not come to power through coup. He was responsible for leading the country to independence. Saleh Johar: He came to power through the revolutionary legitimacy and that should have ended when we achieved our objective: the liberation of Eritrea. We don’t believe the Eritrean people have been liberated. The land has been liberated but the people have yet to be liberated. The Eritrean people have not experienced the taste of freedom since 1991 and we are continuing the struggle that was started by our hero Hamid Idris Awate in 1991  and we shall not rest till we realize our aspirations for freedom and dignity. Interviewer: For sure, there is an opposition to Isaias Afwerki; but, mostly in the Diaspora. 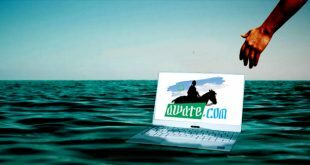 What role do you play as apposition, as a journalist, author and publisher of Awate.com in regards to mobilizing the people? Saleh Johar: We [awate.com] are an information center that specialized in Eritrean affairs and the Horn of Africa. Interviewer: But it [awate.com] opposes the Isaias regime, right? Interviewer: Okay. Now, those Arabs in Eritrea; which takes me to the Eritrean refugees’ issue. Generally and regretfully, the Arab media is not interested or has not given due attention to Eritrea and Africa in general. For instance, 50% of Eritreans are Muslims and I believe about 40% of them speak Arabic. Is that right? Interviewer: How is the situation of the refugees now? Interviewer: Let’s stay with the refugee issue before we take on the Arab nations. How is their situation? What are their essential needs? Interviewer: I know about it. Saleh Johar: Sultan, and other brothers who are doing this work. These are individual initiatives on a small scale, but the situation in the Sudan requires the resources of sisterly and neighborly (close to us or related to us) nations and all those who should be interested in the region. Interviewer: Is there risk from hunger? Your neighbor Somalia is going through tough times from hunger. Saleh Johar: Oh, Mister! Hunger has never left the Eritrean refugees. Interviewer: Overall, the whole Horn of Africa is facing hunger. Saleh Johar: It is more merciful [bearable], at least, to be hungry in your home; in your own country, than in refugee camps since 1967. Hunger has never left them; there is no water, education or medical services. This is their dire situation since 1967. Interviewer: These shortfalls: are they the result of poor governance, injustices, weaknesses or the prevailing poverty in Eritrea? Saleh Johar: All these contributing factors are there in Eritrea and the whole region, but the situation is, first and foremost a humanitarian one before it becomes political. And there were humanitarians in the past who did the right thing, but as you know, the Arab people are not in charge of their destiny; it is their respective governments that direct what they do and don’t, and if the governments would take action, the people would have followed; the philanthropists (humanitarians) would have been encouraged. The humanitarians have this shortcoming. But part of the problem with prolonged issues is that they become normal overtime; ignorance [disinterest] prevails and people forget while being consumed by other issues. This is what has happened with the Eritrean refugees. Forty years is a long time. 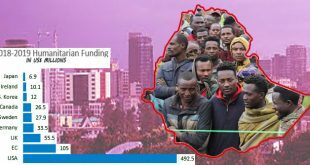 Interviewer: What is the number of Eritrean refugees now? Saleh Johar: About half a million. Interviewer: Half a million! Where are they? Saleh Johar: In Semsem, Gerger, Wed el Hilew, Wed Sherifey and about ten others. They are scattered all over. Interviewer: Are they inside the Sudan? Saleh Johar: They are inside the Sudan. There are those who have flowed to the cities; this is natural, but most of them are in refugee camps. Interviewer: Now we can start the conversation about the relations among neighboring countries. Before we talk about Ethiopia, Eritrea’s bitter enemy, let’s talk about the Sudan. How is the relation between the Sudan and Eritrea? Saleh Johar: There is a wrong view about the Sudan that I like to take this opportunity to correct. Personally, I’m not aware of any Sudanese government that has dealt with the Eritrean revolution or with Eritreans with integrity/probity. All the regimes that dealt with the Eritrean revolution were using it, sometimes using it as a bargaining chip and sometimes as a buffer. For example, the Numeri regime used to benefit from the Eritrean revolution against the communist risk coming from Ethiopia. When his relation with the Mengitsu regime is fine, he beats down the Eritrean revolution and when it is tense with Mengistu, he would support and lift it up. Interviewer: How is your relation with the Islamists? Interviewer: The Islamists in the Sudan; since 1998. Saleh Johar: By God, I wish them a dignified departure. Saleh Johar: Because we have sustained a great harm from the current regime. It does not honor refugee rights. Today we (can) see the government in the Sudan, a neighboring country, rounding up refugees and handing them over to the Isaias regime to be killed. This is what is going on. Interviewer: When the refugee is handed over, he gets killed? Interviewer: Why? We’ve not heard of this in the media and there are many organizations working on behalf of refugees’ rights. The returnees might be subjected to mistreatment; some extra-judicial punishment from the Isaias regime but not killing. Saleh Johar: It is not whether you or I heard about it. Let me give you an example: Since 1991, there have been many killings and disappearances of many personalities. Interviewer: True, but those are political figures and not refugee returnees. Interviewer: How do you explain the relations between the Sudan and Eritrea now? Saleh Johar: It is based on interests. Saleh Johar: It is based on denying the interests of the people of Eastern Sudan and Western Eritrea, particularly the Beni Amer tribes who inhabit Eastern Sudan and Western Eritrea. This is a very important concern. Interviewer: Are these Arab tribes? Saleh Johar: Yes, as it is evident in the name Beni Amer. For example, if we see in Eritrea, there is not a single Beni Amer in the Eritrean government. Interviewer: The tribes in the Sudan and Eritrea; the region as a whole is generally made of tribes? Saleh Johar: It is tribal; that is our reality and the reality of the whole region. These tribes cross boundaries: the Maria, Beni Amer etc, for instance, are found in the Sudan and in Eritrea. Interviewer: Let’s now talk about the [your] enemy Ethiopia. 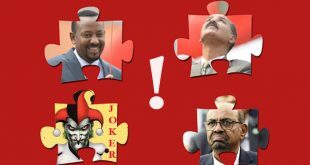 Do you go to Ethiopia, a country that is the closest ally to the Eritrean opposition? Saleh Johar: Sudan. Yes. The Eritrean opposition closed its offices; and the Sudan prohibited the opposition from engaging in any sort of activities. What shuld the Eritrean opposition do? Saleh Johar: That is the choice. Interviewer: the sworn [biggest] enemy of Eritrea! Saleh Johar: My friend, if the Saudis would accept them, they would go to Saudi Arabia; if Tunisia would accept them, they would go to Tunisia; if Egypt would accept them, they would go to Egypt. But these choices don’t exist. This is the choice that is available; and Ethiopia is our neighboring country. Look, you are talking to me; I very well know about the enmity; personally, as Saleh, I hail from an ethnic group that has only known oppression, killing and plunder from Ethiopia for 500 thousand years; sorry 500 years. I mean what I say; I know about the enmity between Eritrea and Ethiopia more than others, but we are not prisoners of our history; and we have a mission that we have to deal with. Interviewer: What is the presence of the Eritrean opposition inside Eritrea? Saleh Johar: We don’t have any numbers since everything is prohibited and have to be done in secret. Even the press is not allowed in Eritrea, let alone the opposition. You can imagine what would happen if one is known as an opposition. Interviewer: We have witnessed an Iranian expansion in the region. With the split of the Sudan into South and North, the Iranian president visiting there, and whether he visits Mauritania or Southern Sahara, it shows Iranian expansion in North Africa. Does this mean a rejection of the Arabs and a preference for Iranians in the region? Interviewer: There are a lot of you who speak Arabic. Interviewer: Do the Arabs support you? Saleh Johar: No, they do not support us. Interviewer: As a humanitarian organization. The Gulf States in the past have done so! Saleh Johar: Personally, as Saleh, we don’t need the Gulf States’ support. We just need them not to be part of the problem; they need to stop supporting Isaias. Interviewer: Is this right , how do they support him? Saleh Johar: I don’t know but you are a journalist and you can research it. This is a puzzle that we do not understand. Interviewer: Based on what I know, I thought the Gulf States, whether it is Saudi Arabia or the Emirates give priorities to saving lives in Africa. Saleh Johar: This is a good deed we do not forget, but we are talking in the political context. And on political issues, for instance, the nation of Qatar has a very close relationship with Isaias. Interviewer: Does it support him? Saleh Johar: Yes, sir. He uses Qatari planes when traveling. The man, I tell you, does not have his own plane. He uses Qatari planes when traveling. Interviewer: The plane that Isaias uses belongs to Qatar. Saleh Johar: Yes, it belongs to Qatar. Saleh Johar: Yes, it belongs to Qatar. Everywhere he wants to go, they provide him with one. Interviewer: You see, the guy is poor; he can’t afford one. Saleh Johar: Yes he is poor. But the problem is the poor is capable of killing you like the rich. The knife and the dagger are the same in the hands of the poor and the rich. If they, the Gulf States, would just stop this support. Interviewer: Do you think it is possible for any sort of people’s uprising, demonstrations against Isaias–this strong, military man? Saleh Johar: This is what concerns me. He does not understand anything but force. He is violent; violent since we came to know him in the political arena, who has dealt with every issue with violence and he had reached where he is with violence and is governing the country by force. And second, the message he is conveying is that he wants those demanding change to confront him. Eventually, we see our situation to be like that of Libya. Interviewer: Do you see the opposition uniting under one political program? Saleh Johar: It is natural. You know there are ties that bring us together. Even the so-called national unity is affected by regional ties and the developments in the region. These developments will usher in an environment that would unite us because if we do not unite we will not be able to oppose the regime effectively. Interviewer: I like to afford you an opportunity to tell our audience and the Arab people how they can be involved in Eritrea and particularly in helping the refugees crisis. Saleh Johar: On the refugee issue, I like to address those humanitarians who have done their part and have a welcome, much appreciated, noble and proud history of helping our refugees. I want to remind Arabs and neighbors and those humanitarians that if they think the Eritrean people are free, then, they are living in a dream. I implore them to pay attention to the plight of the Eritrean refugees. This is my advice. Interviewer: God willing, thank you so much Mr. Saleh Johar. Wow…Saleh Johar…you couldn’t find a word in Arabic to say anything about the highland Eritreans, who are fleeing to Sudan and Ethiopia? Or you just don’t find those citizens worthy of mentioning?….